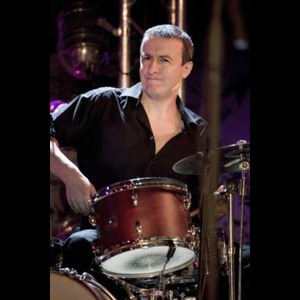 For the past 20 years, Dimitar Dimitrov has been one of the first-class European jazz drummers and leading university professor of drums. Having been involved in various projects in Europe and the USA, his passionate swing has provided support and inspiration to some of the world's contemporary jazz legends. He has collaborated with some of the greatest artists of our time, including Randy Brecker, Michel Legrand, Eli Degibri, Mark Small, and many others. 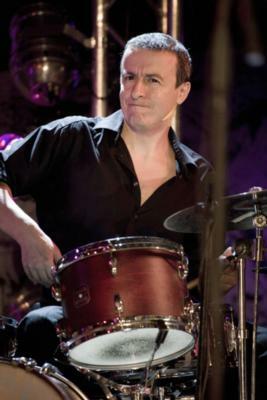 Holding a master's degree in jazz drumming from Richard Strauss Conservatorium in Munich, Germany, Dimitar's passion has always been playing live jazz in various styles and formations – an endeavor which has brought him together with a number of the greatest jazz performers of the modern day. For years now he is also working as an impresario, being able to ensure world class performers even for a small or personal event. 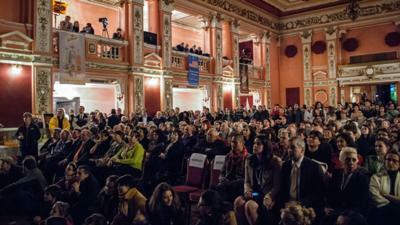 "Dimitar Dimitrov is a truly exceptional artist, whose talent and artistry put him among the very top musicians." Please note Lush Life Jazz will also travel to Long Island City, Brooklyn, North Bergen, Bronx, West New York, Union City, Weehawken, Flushing, Fairview, Edgewater, Hoboken, Jersey City, Ridgefield, Cliffside Park, Palisades Park, Fort Lee, Secaucus, Ridgefield Park, Leonia, Englewood Cliffs.